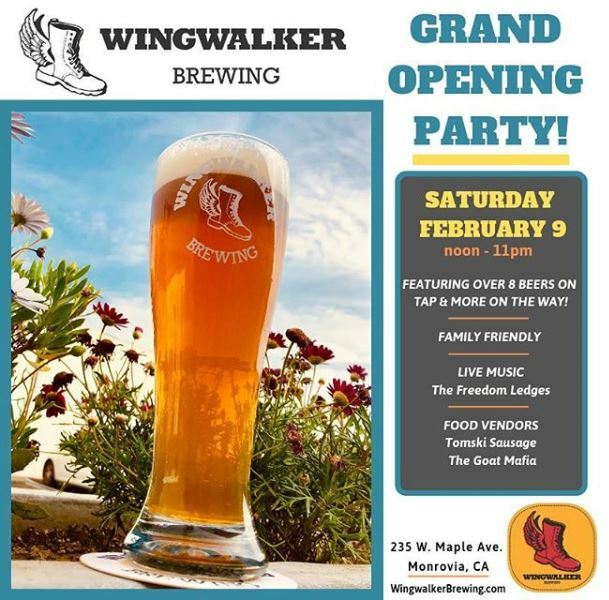 Wingwalker Brewing and Taproom, now offering craft beer in Monrovia, will host an official grand opening party on Saturday, February 9 from noon to 11pm. Wingwalker was founded by David Robkin, an LA native and current resident of Altadena who started homebrewing in 2010 and experimented with making wines and meads long before that. 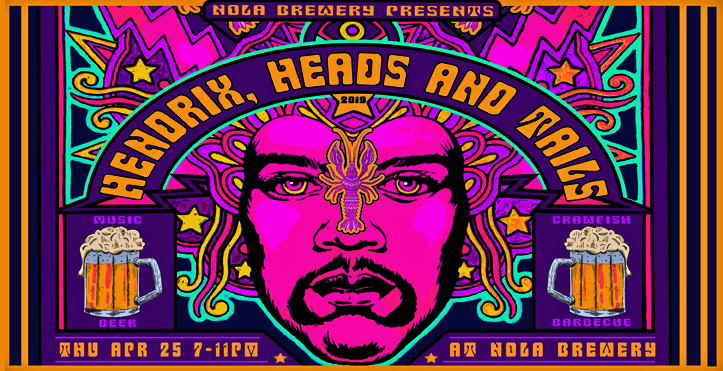 Robkin brings the circus tradition of his youth in Baraboo, Wisconsin into the brewery’s design. The taproom features a variety of brews, from dark ales to IPAs, with 8 beers currently on tap and 6 more on the way. Some customer favorites include Dark Matter Porter; Physics Phest, an Oktoberfest-inspired light ale; Zero Turbulence I.P.A., and Writer’s Block, a hop-forward session Blonde Ale. 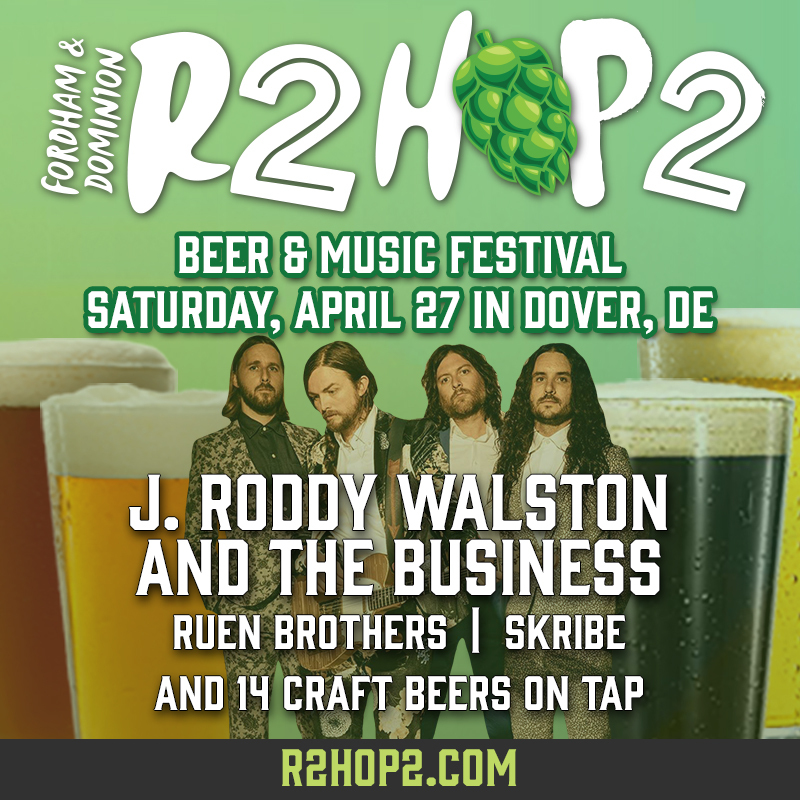 The family-friendly taproom will celebrate their official opening with live music by rock and blues band The Freedom Ledges plus food from Tomski Sausage and The Goat Mafia. Wingwalker also offers a variety of non-alcoholic drinks, packaged snacks, board games for the entire family and a TV. Food delivery is also available. Wingwalker is now open at 235 W. Maple Ave., Monrovia, CA 91096. 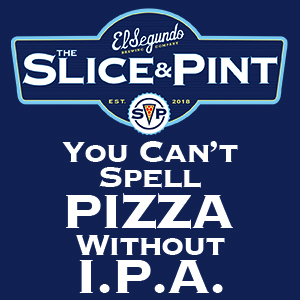 Hours are Thursday from 5-10pm, Friday from 5-11pm, Saturday from noon-11pm, and Sunday from noon-10pm.